The version of yourself that you want to show off when you’re at work isn’t always the same as the one you want to put forth on date night. Office You knows exactly how to score the best conference room and hoard free notebooks, while Date Night You enjoys weird art films and whiskey-infused banter. The same goes for your wardrobe. What you put on for back-to-back-to-back meetings isn’t always the lean-in-closer vibe you’re going for at dinner. The good news is this: these two modes aren’t terribly far apart, at least not from a clothing perspective. Stick with neutral colors in both scenarios, learn some easy styling tricks, and you’ll be able to segue seamlessly from day to night. Here are three moves to try this fall, from easiest to savviest. We say test-run them all. Whether you wear suits to work or jeans and oxford shirts, every button-down could stand to look a little bit cooler for date night. Enter, the bomber jacket. 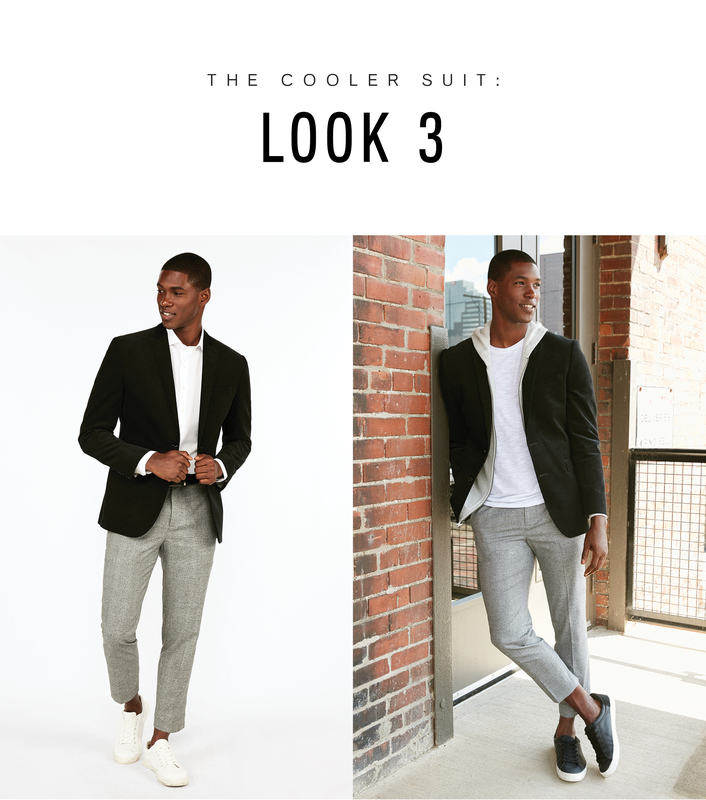 Stick to a slimmed down version with zero bells and whistles, then push up the sleeves (both sets), and your outfit just got a little bit edgier and sexier. 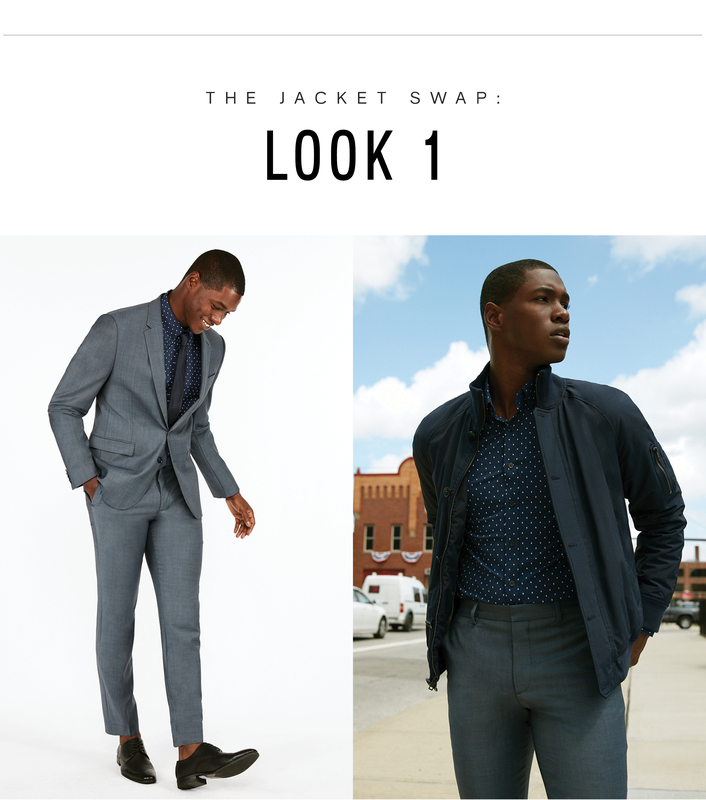 Two tips: go for monochromatic or neutral tones so your jacket blends seamlessly with your more conservative duds. And make sure your shoes are as sporty as your outerwear. A pared-down sneaker and a bomber are a match made in heaven. A dress shoe and a bomber might be slightly harder to pull off. What do you do if you work in a startup where hoodies are the norm, but have reservations at the theatre or a nice restaurant after work? Dress your outfit up after your coworkers have left the building—because you know they’re going to rib you for putting in the extra effort. Here’s what to do: start with a simple canvas for the office—untucked Oxford shirt, slim black jeans, and streamlined sneakers. Then tuck your shirt in and add a monochromatic tie and trench coat before meeting your date. If you really want to pull a fast one, swap out your shoes, too! Mastered style moves 1 and 2? Now you’re ready for something slightly savvier: layering. Start the day with a smart trouser-and-blazer combo. (We love this black corduroy jacket for fall.) 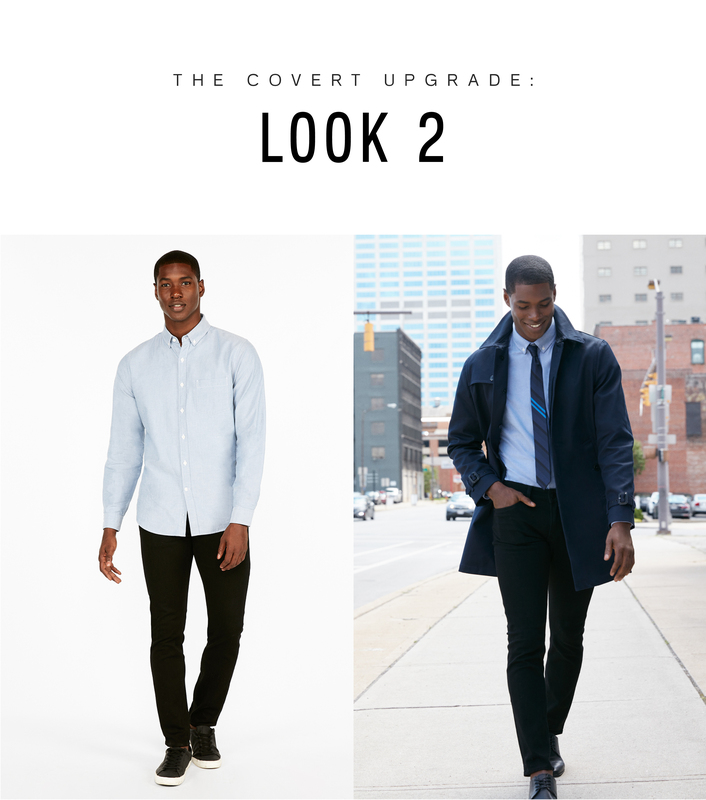 Then, instead of ditching the jacket or pants, rethink everything else about the look. Swap dress shoes for sneakers, a button-down for a T-shirt, and, if you’re really feeling bold, add a hoodie underneath for a sporty finish. You want a zip-up that’s minimal and polished for this, not your old school college sweatshirt. Pulling that off is level eighty-four.